It’s a disaster when any of the plumbing in your home goes awry. However, it can be particularly problematic when there’s an issue with the plumbing in your kitchen. The kitchen is where you prepare your meals, wash your dishes, and usually fill up your drinking water. 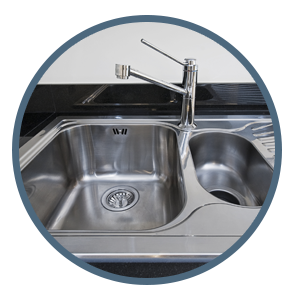 When you have a kitchen plumbing need on your hand, Executive Plumbing & Drain has you covered. 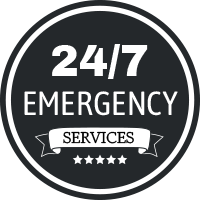 From problems with your garbage disposal to dealing with a major leak from your kitchen sink, you can call us 24/7 to get the kitchen plumbing repairs you need. Don’t leave your plumbing services to anyone less than the best. Give Executive Plumbing & Drain a call to schedule your free estimate. Executive Plumbing & Drain is a plumbing company that services Temecula and the Inland Empire with high-quality plumbing services. Our trained, licensed, and certified plumbers are standing by 24/7 to take care of all your kitchen plumbing needs. Whether it’s a residential kitchen or commercial one, we’ve got you covered. The truth is, your kitchen is full of potential plumbing disasters like dishwashers, refrigerators, sinks, garbage disposals, drains & more. We’ve mastered kitchen plumbing repair and can usually have your job done before dinner! When our plumbers arrive at your home, they’ll be fully equipped to take care of most repair jobs on the spot. We stand behind our work with a 100 percent satisfaction guarantee. This means you can count on us to get the job done right — the first time. Give us a call or fill out our online contact form to get the plumbing services you need, when you need them. We’ll start you off right with a free quote. On top of that, we practice an upfront pricing model, so you’ll get no surprise fees tacked on to your bill. Thank you for choosing Executive Plumbing & Drain! We look forward to taking care of your kitchen plumbing services needs. We have most parts to make repairs on the spot. From routine maintenance to burst pipes, we’re here to help. Our commercial plumbing technicians service retail, food, corporate and industrial locations 24/7, 365! 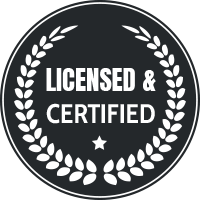 We’re proud to say Executive Plumbing & Drain, Inc. is at your service day or night. Call anytime for a quote.